One of my fave brands is Dorothy Perkins. Obviously that's because they carry sizes 12 and up! What a relief for curvy gals like yours truly. Incidentally, now is a season of SALE for Dorothy Perkins too which started last June 29! 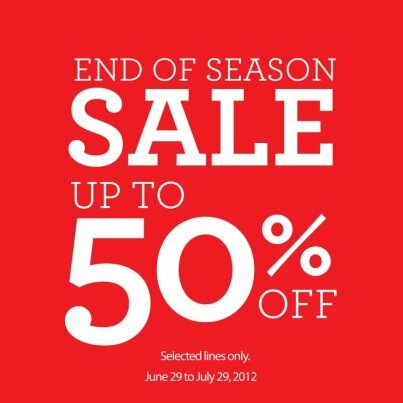 Check out the end of season sale at Dorothy Perkins and get up to 50% off on selected items from June 29 to July 29, 2012. You may like their Facebook page here! SNEAK PEEK | ZALORA'S Zalorrific News! BAG SPOTTING | Vedasto Orange is the BOMB!